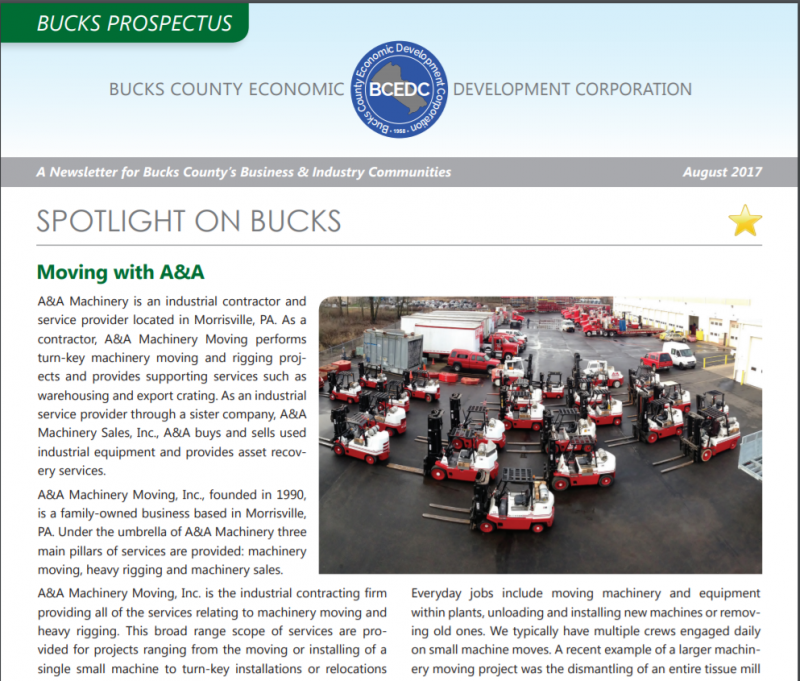 Doylestown, PA – A&A Machinery was featured as the Business Spotlight in the latest issue of the Bucks Prospectus. 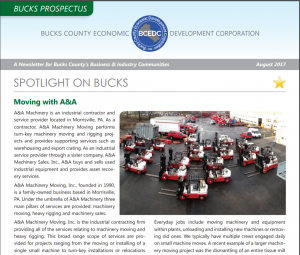 “Moving with A&A” discuss an overview of A&A Machinery Moving as a company, its relation as a local Bucks County business and its proud membership with the Bucks County Economical Development Corporation (BCEDC). The Bucks Prospectus is a bi-monthly newsletter published by the Bucks County Economical Development Corporation. The purpose of the newsletter is to keep members of the BCEDC and the local business community informed as well as provide valuable articles for businesses to grow and prosper. “A&A is a proud member of the BCEDC and earnestly supports the mission of BCEDC to promote and foster the local business climate.” For construction on their new facility in Morrisville, PA, A&A secured low-interest financing through BCEDC in 2000.